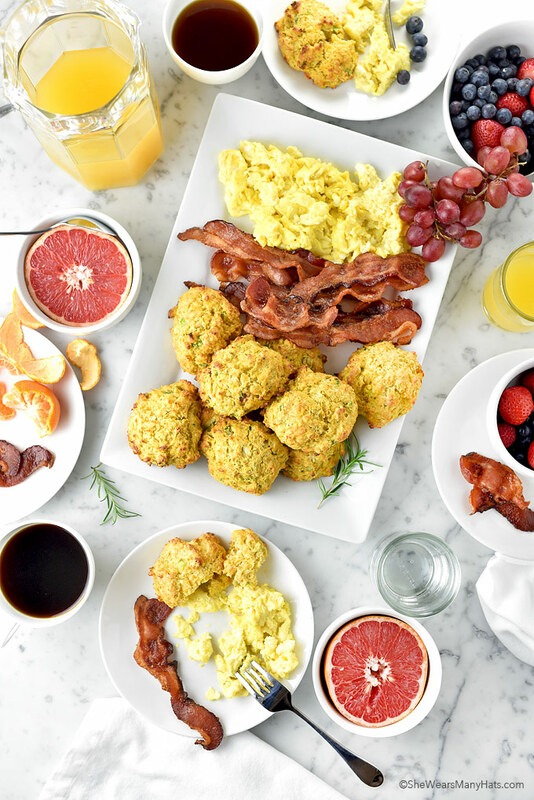 If you’ve got leftover Sweet Potato Casserole after Thanksgiving, these Sweet Potato Cheddar Drop Biscuits are the way to go for a post-holiday brunch. Ask anyone what their favorite part of the holidays are and they’ll say the food. That is, after the family and friends and love and togetherness, of course. Seriously, everyone loves those wonderful holiday meals — even the leftovers! Are you ready for the holidays? Do you have your menus figured out? For those of us that have been dreaming about gravy since June, it’s time to solidify plans for the holiday menus and stock up on the right place settings and recipe ingredients. So let me tell you, Walmart can really come through as a holiday bustle go-to. They have the cutest dishes and place settings, along with all the quality ingredients and groceries you could ever need, all at great prices. I really do not like shopping, especially during the busy holiday season, so being able to do one-stop shopping is a big plus in my book. Save time and money? That’s a win, win! 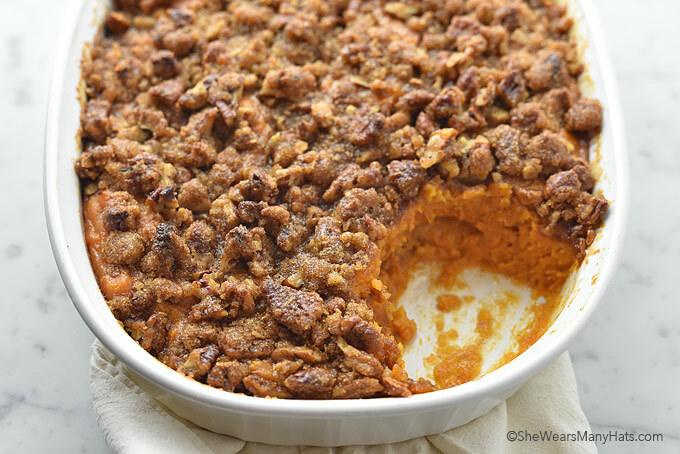 Sweet Potato Casserole Recipe with Pecan Topping is one of the dishes we make every year for Thanksgiving and Christmas. It’s the perfect complement for turkey, ham or beef. And whether you’re partial to a nutty praline-like topping or toasted marshmallows, it is an excellent side dish for the holidays. 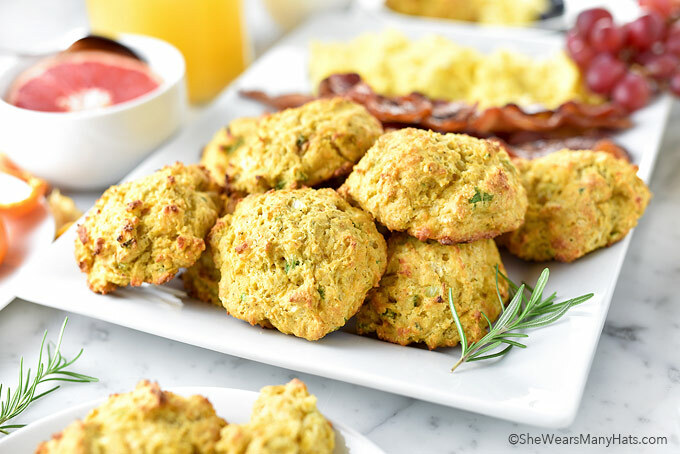 However, if your eyes are bigger than your stomach and you just so happen to have some sweet potato casserole leftover, I’ve got the perfect leftover-inspired-post-Thanksgiving-brunch recipe for you: Sweet Potato Cheddar Drop Biscuits. 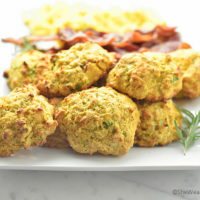 These easy drop biscuits are savory and delectable enough to rival the main course. 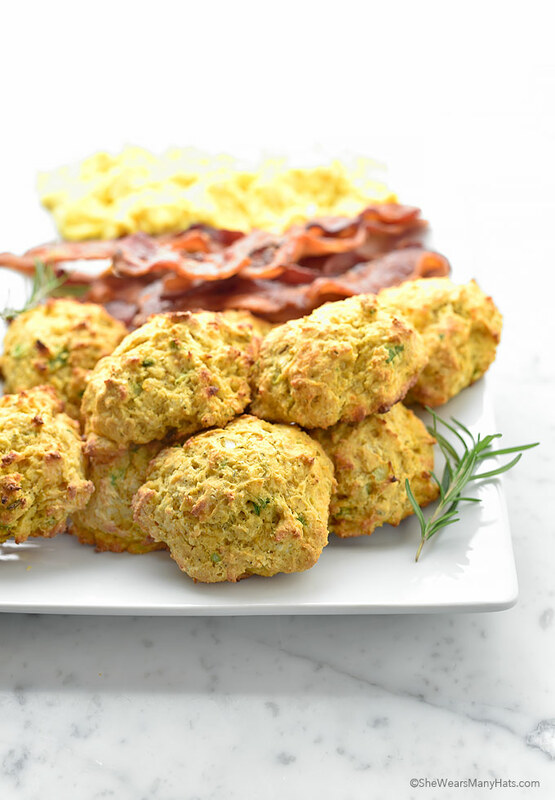 This Sweet Potato Cheddar Drop Biscuits recipe is the perfect way to repurpose a sweet potato casserole into a versatile savory breakfast biscuit. No need for a bunch of fussing with these. No sire! 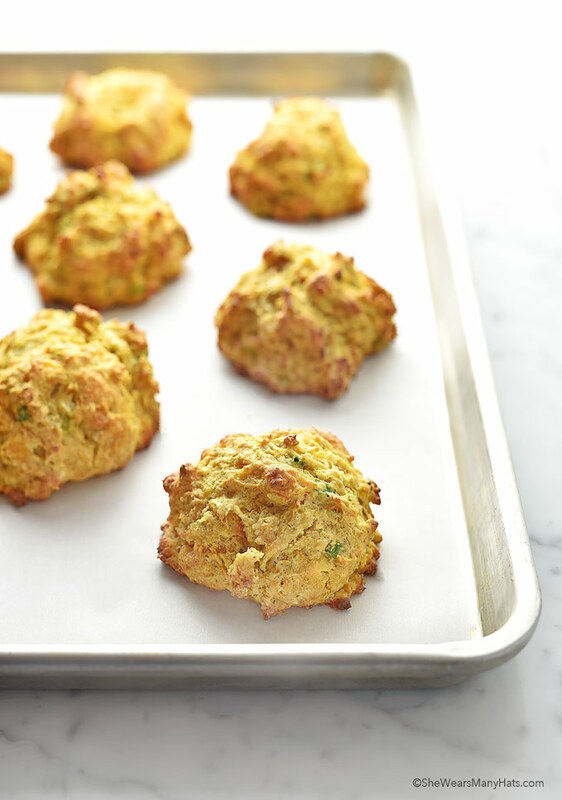 These biscuits only take 12 minutes to bake and the recipe is so simple to put together. With a few basic ingredients plus leftover sweet potato casserole you’ll have these done in no time. Find the recipe below, and don’t forget to check out Walmart for all of your holiday shopping needs. As I mentioned, one-stop shopping sure does make it easier when entertaining during the holidays. All of the wonderful dishes shown were found at my local Walmart for a fresh and easy table setting that let’s the food shine. 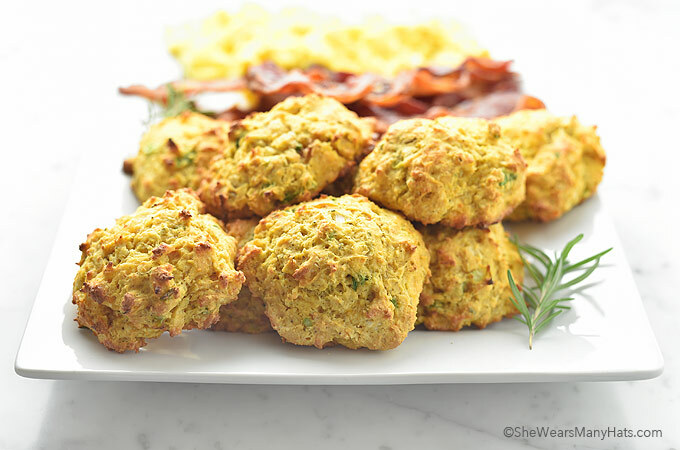 These savory biscuits are easy to make and a great way to use leftover sweet potato casserole or mashed sweet potatoes. In a large mixing bowl, whisk together flour, baking powder, baking soda, dried thyme, salt and pepper. Cut in diced butter until mixture resembles coarse meal. Add shredded cheese and green onion; toss to combine. Stir in sweet potato and milk until just combined. Don’t over mix. Recipe makes about 16 2-inch biscuits when using 1/4 cup "drops" of dough. *These biscuits are best served warm. This article is sponsored by Walmart. As always, all opinions are my own.